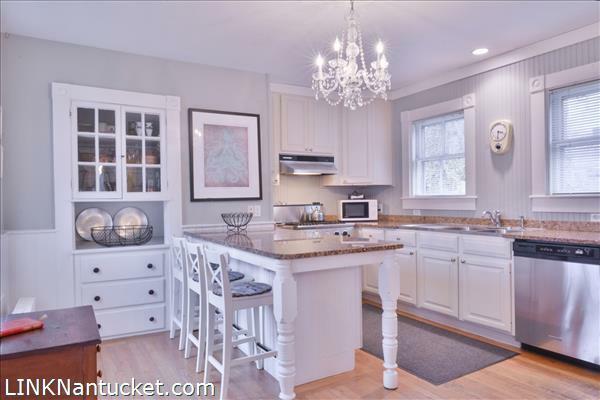 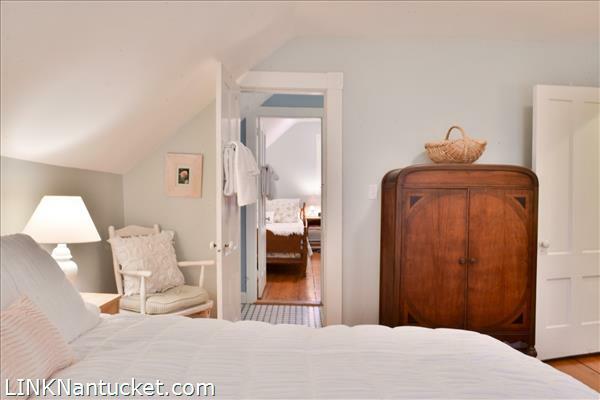 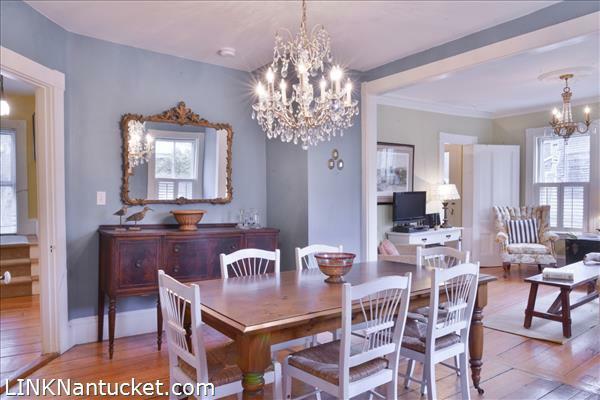 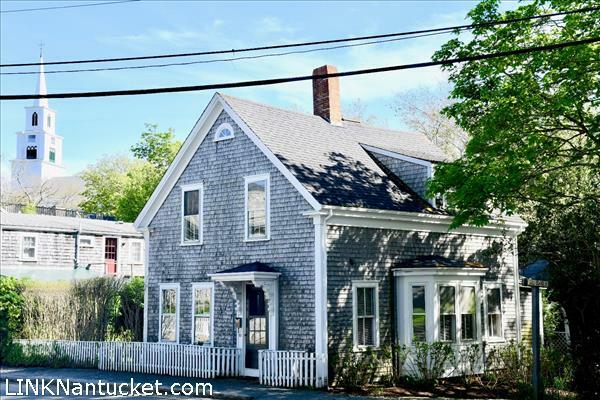 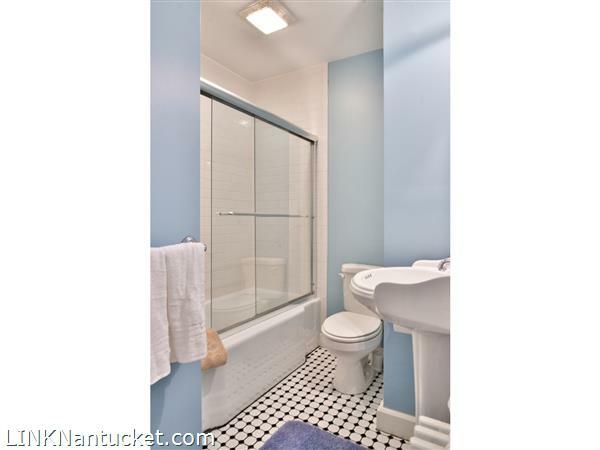 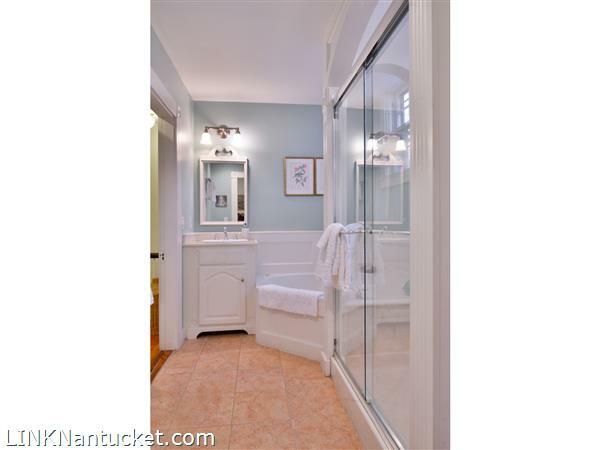 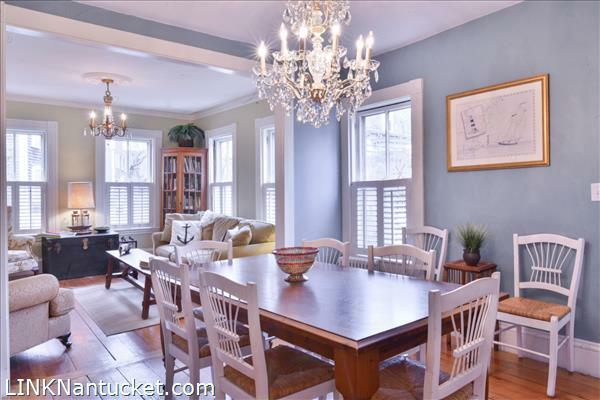 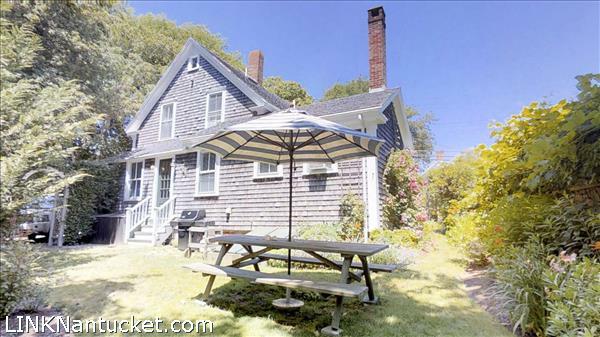 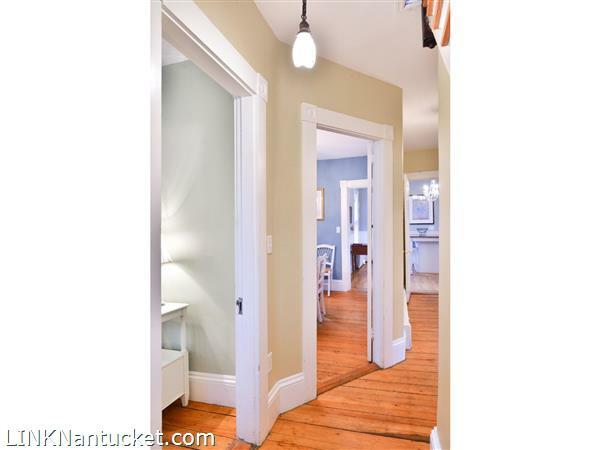 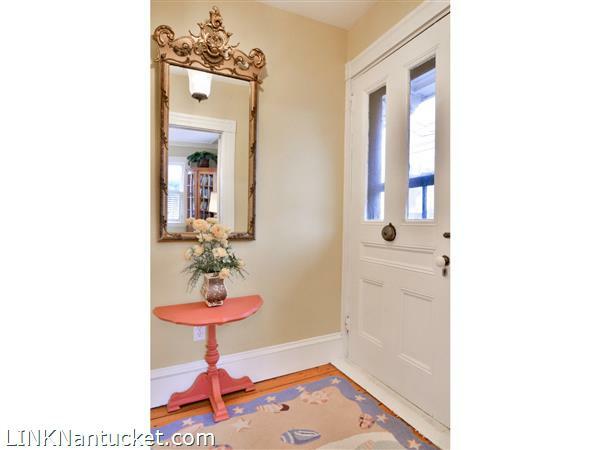 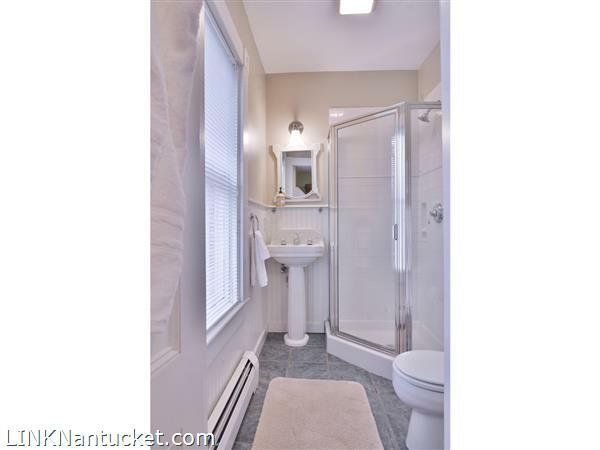 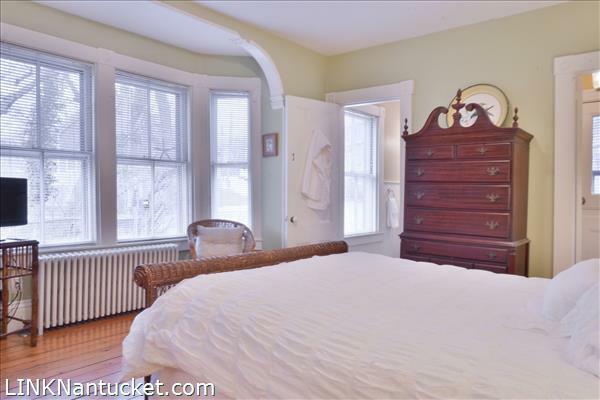 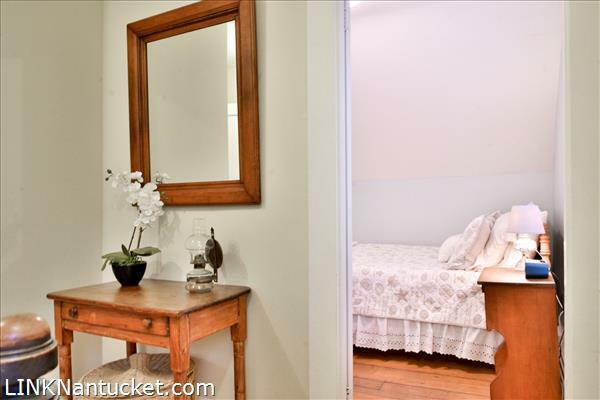 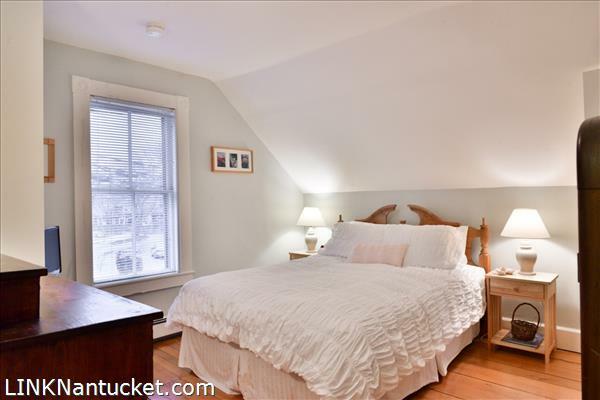 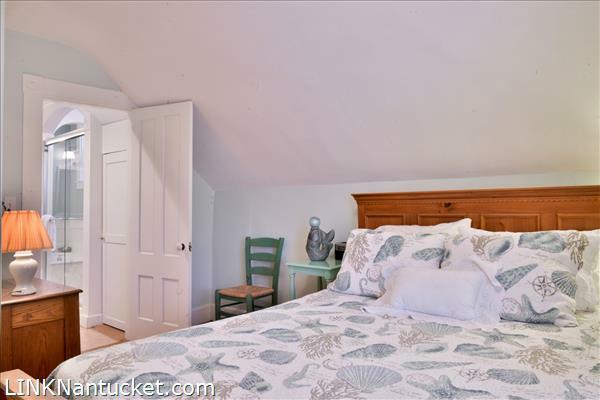 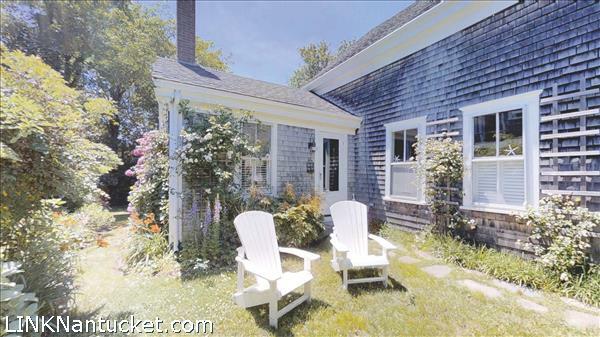 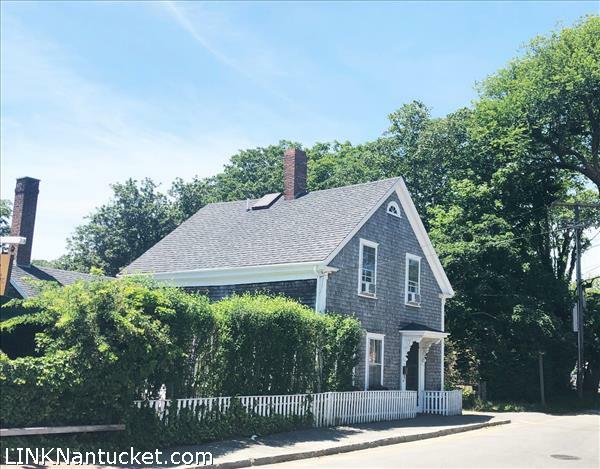 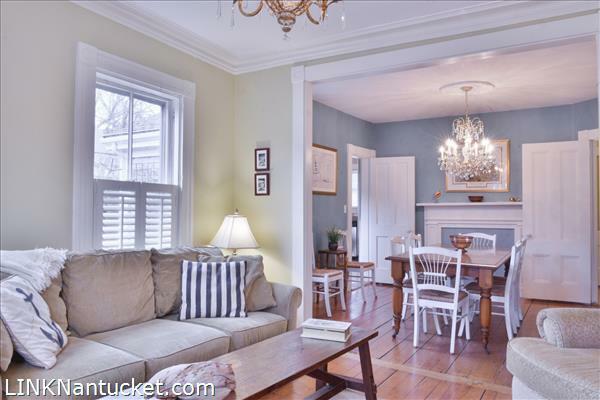 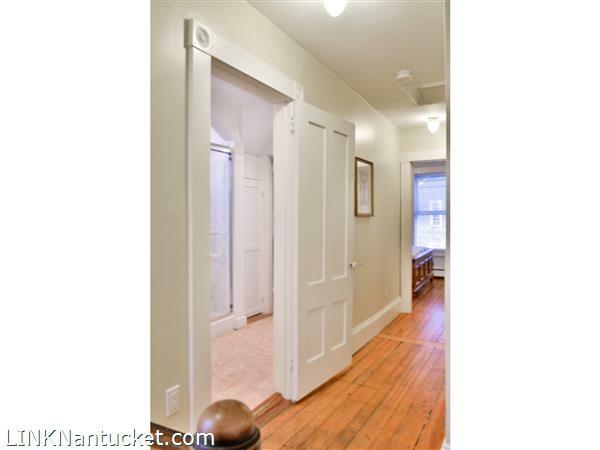 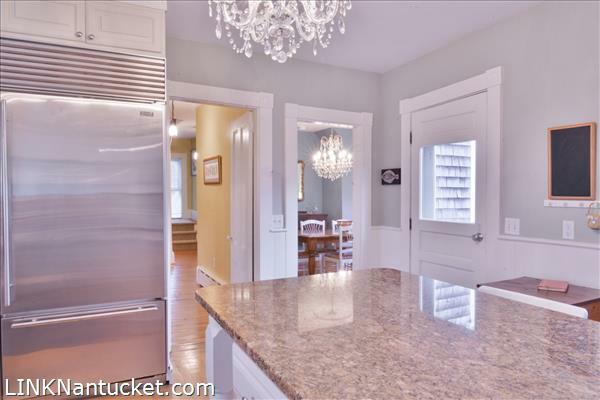 Lovely 4 Bedroom, 4 Bath, Antique in Town, very close to Brant Point and the Cliff. 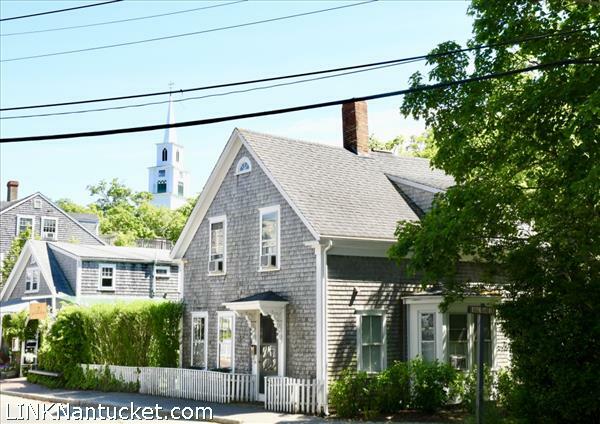 Enjoy the benefits and conveniences of living in Nantucket’s Historic District just moments to the core district with downtown shopping, dining, ferries & more! 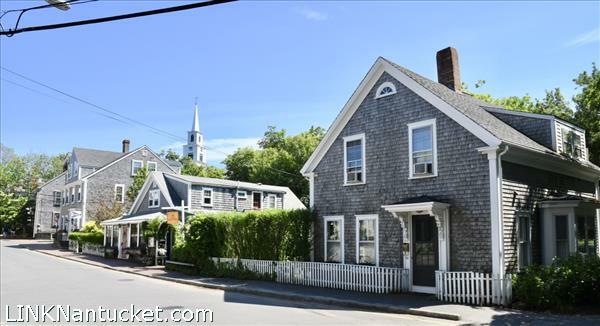 Special features include high ceilings and tall windows with two over two window panes that provide loads of natural light plus a first floor master bedroom with an en suite bath. 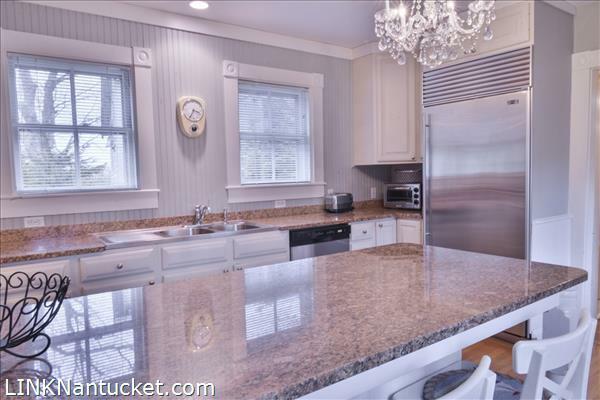 Enjoy entertaining indoors & out with a great place for morning coffee off the kitchen and back yard for barbecuing. 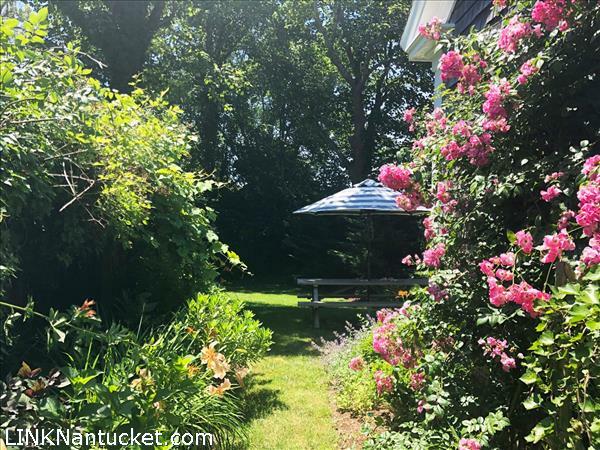 Large yard allows room for future expansion. 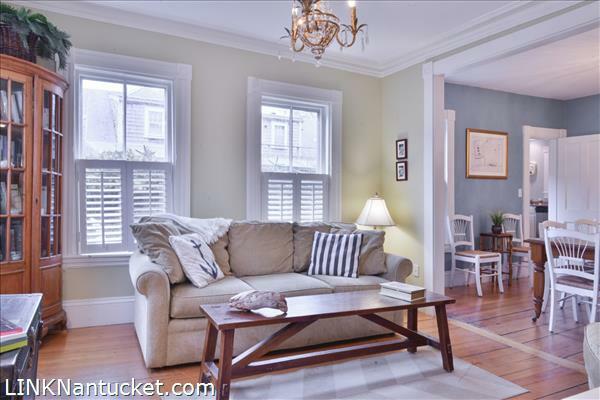 Rental Income averages $85,000 annually. 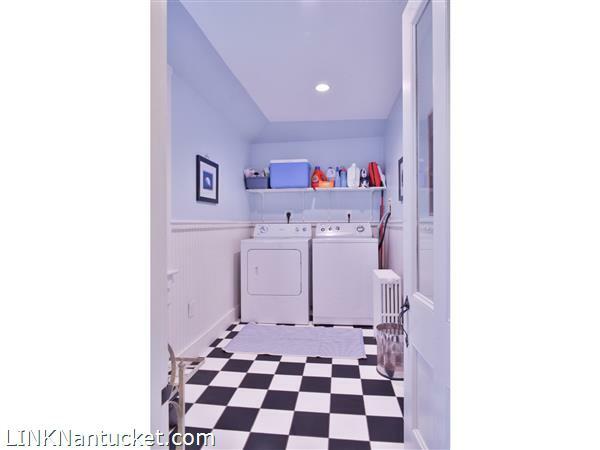 First Floor: Entry to Living Room which opens to the Dining Room; Country Kitchen with granite counter tops, stainless steel appliances and access to the front yard; rear hall with full bath (clawfoot tub); Master Bedroom with Bath (shower); Laundry Room and Rear door that leads to back yard and off street parking. 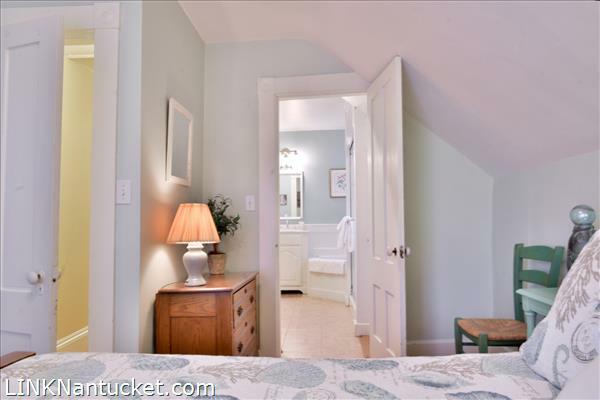 Second Floor: Bedroom with direct access to Hall Bath with soaking tub and separate shower. 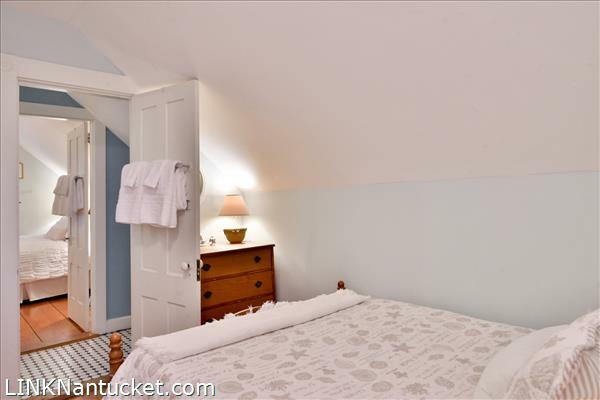 Two additional bedrooms, each with direct access to shared bath with a (Tub & Shower). 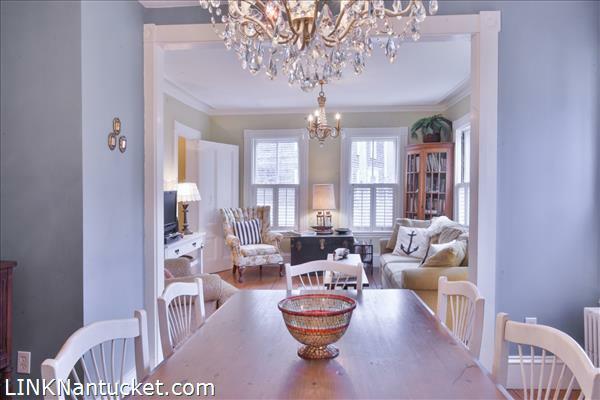 Third Floor: Dining Room Chandlier to be excluded from the sale.